I have a passion for sewing. I have been making clothing, accessories, and home decor for myself, family and friends for years. I was once told, after making all the dresses for my daughters wedding, that I missed my calling. That comment was taken to heart and I took a leap of faith and open Sew Fundamental Alterations & Custom Sewing. My mission is to make a living by doing something that I love. My goal is to be the best alteration seamstress and to offer custom made garments and home decor items that are made to your measurements and specifications. 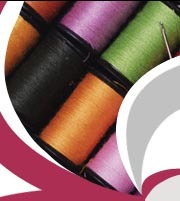 I hope that you will give me the opportunity to serve your sewing needs. "If your clothes aren't becoming to you, you should be coming to me."